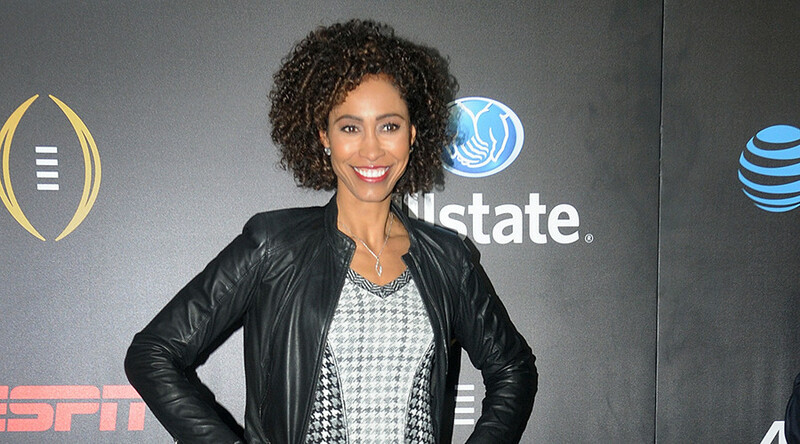 The internet came down hard on ESPN anchor Sage Steele after she posted a photo on Instagram, criticising protesters at Los Angeles International Airport for making her miss her flight. Steele shared a photo of a jam-packed LAX on Monday while it was in the throes of a protest against President Trump’s executive order restricting the citizens from seven Muslim-majority countries access to the US. Steele, 44, complained that she and “thousands” of others were forced to drag their luggage “nearly 2 miles” to get to LAX airport, but still missed their flights. “Fortunately, a 7 hour wait for the next flight to Houston won't affect me that much, but my heart sank for the elderly and parents with small children who did their best to walk all that way but had no chance of making their flights,” Steele continued. The sports anchor went on to clarify that while she “love[s] witnessing people exercise their right to protest” she felt “saddened” to see the “joy” on protesters’ faces “knowing that they were successful in disrupting so many people’s travel plans”. “Yes, immigrants were affected by this as well. Brilliant,” she concluded. While the post may have received over 2,000 ‘likes’, it also garnered over 3,000 comments, many of which blasting Steele - who’s interracial - for betraying her race and being selfish. @sagesteele I respect the inconvenience, but please keep in mind that there are families being torn apart by #MuslimBan. We need to stop it. Sage later took to Twitter in an effort to halt the onslaught of hate, unapologetically explaining that she was simply expressing her opinion.